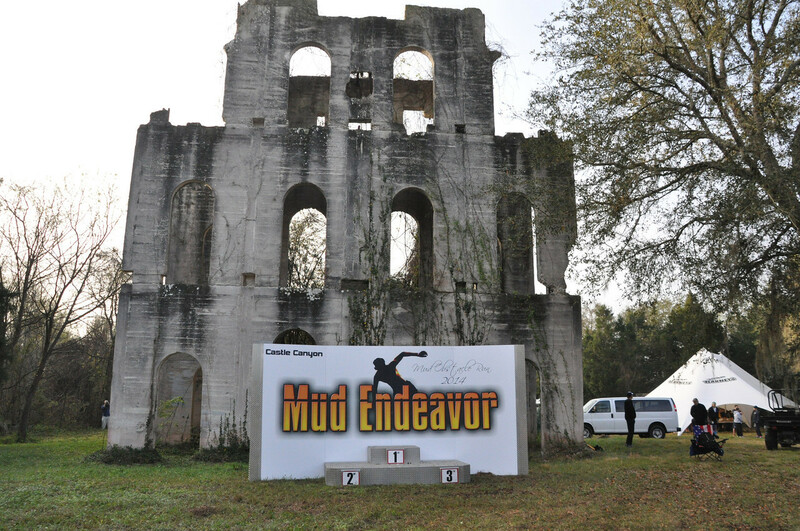 I went to the Mud Endeavor obstacle run and it did exactly what I knew it would – got me motivated to run again. Yay! How cool is that? Out of all of the runs I’ve done Mud Endeavor runs are my favorite – I’d be happy to run every one they put on. But this location was by far my favorite. Lots and lots of (steep) hills, boulders and actual climbing (almost like AZ, this was the closest to a place to hike I’ve seen in this state!) and just generally a beautiful place. Who wouldn’t love obstacles like this?? There were a couple of uphills like this and one downhill with the rope to help, which was VERY fun. And ya, two days later my right tricep and shoulder are still a wee bit sore. Which is weird since that is the side I have tennis elbow on so I would have thought I’d baby that side. Guess not. Even my subconscious is out to get me, go figure. Anyways, they also had the more typical stuff like the A frame net to climb (very high) and over and unders to be tortured by. I was not really looking forward to the run until the night before because I haven’t been running at all this month, my elbow has been hurting just drinking coffee, and I REALLY had hoped to learn to climb a rope before my next run. I didn’t learn it. 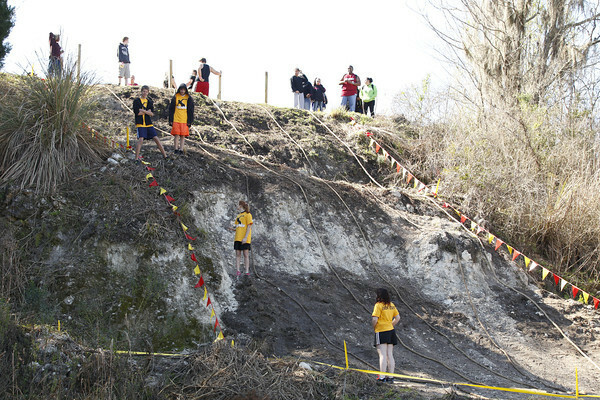 😦 The last thing in the course was a free rope climb (or whatever you call climbing a rope with no wall) and I hate to admit I just walked on by. It was the only obstacle I didn’t do, I REALLY need to learn that! But long story short, always look forward to an obstacle race even if you aren’t all that ready for it. It’ll be fun, it’s just a given. On top of all that they have some pretty groovy race bling. I am really hoping I can make it to their next run, the Little Manatee River Run. My usual partner in crime will be unable to make it but I don’t want to miss out! On top of all that we ran into our friend Ashley (1st place in the competitive heat!) and I met Holly from Muddy Mommy. I was happy about that because I just won a entry from her to Hog Wild’s Off Road 5K (or 8 miler, maybe next time) and got to thank her. That’s what I love about running and reading running blogs, it’s its own little community. I always seem to recognize or know someone at every race. All in all an excellent run, and I am unbelievably happy to have got back the running bug. I guess the secret is to do more races! If you’re a runner do you ever just kind of stop for a while? I tend to do it every so often for no reason at all. Worst of all is that when I don’t run I don’t feel as good in general. Please tell me I’m not the only one who does this to themselves. What do YOU do to keep motivated? 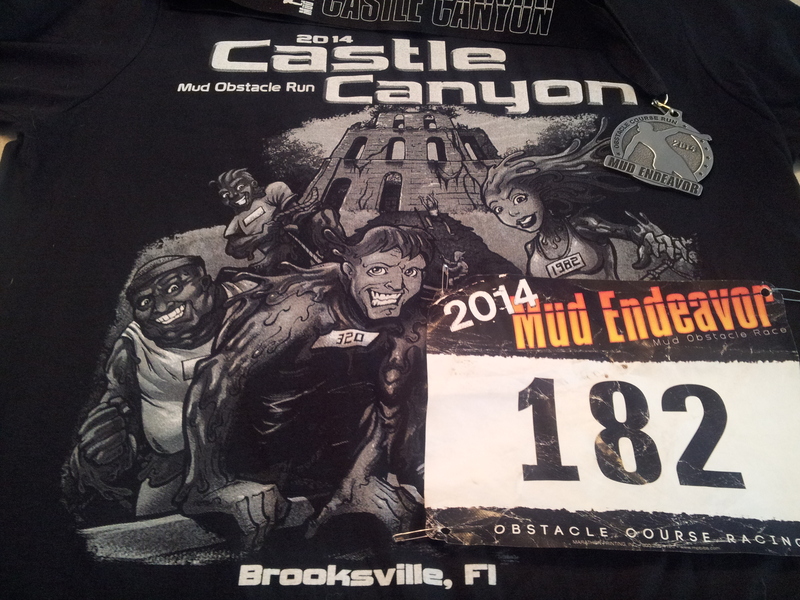 This entry was posted in Review, Running and tagged Castle Canyon, Mud Endeavor by Kinda Zennish. Bookmark the permalink. Wow, I have never seen a race like this. It looks pretty intense! Glad you got the running bug back! Here’s to many more fun runs in your future!